In this book the authors develop the theory of the tripartite matrix, consider music as a form of non-verbal communication as a sub-dimension of the matrix, and to present empirical studies of the matrices of peoples in three societies in the Middle-East. The first volume of this series addressed the group analytic theory of the social unconscious, attempting to clarify the definition of the concept itself, indicating some of its main elements, and comparing it to the Jungian collective unconscious, the Morenoian co-unconscious, and to the study of the link and the bond by Pichon-Riviere (Hopper & Weinberg, 2011). 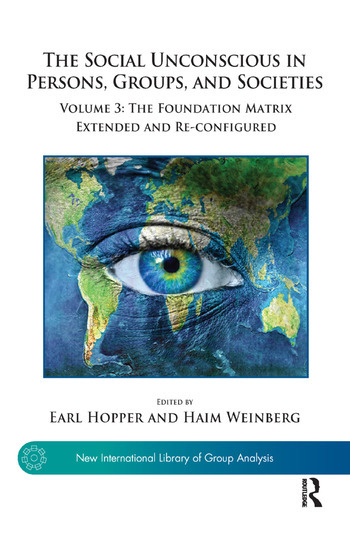 The second volume considered the socio-cultural transmission of myths, and presented several empirical studies of the foundation matrices of contemporary societies, emphasising the importance of social trauma and the continuing consequences of them (Hopper & Weinberg, 2016). The study of these three volumes will provide an appreciation of the depth and breadth of this field of enquiry, which is at the very heart of the project of Group Analysis.